It's very cold here now and will be for the next 2 days and nights. It doesn't look like we are going to get much snow here - the storm is hugging the coast. We're good with that. Makes lambing too complicated. 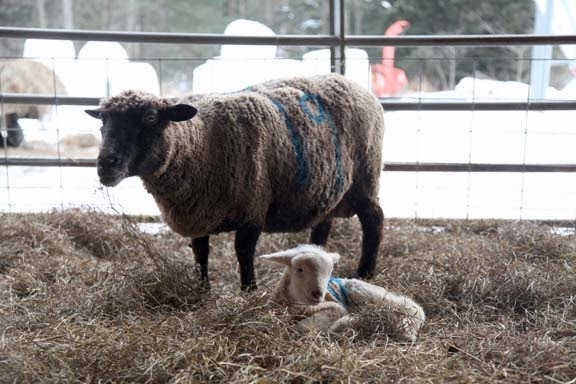 Here are some photos of the lambs that have been born thus far. Not quite sure of the count right now - have to do a re-count. Since you are probably wondering about the color coding and the numbers, here is what it all means. 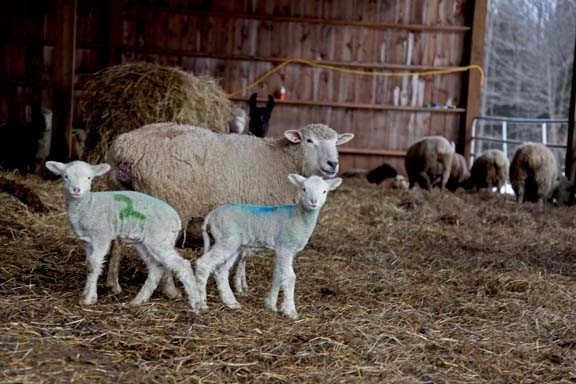 -The blue stripe down the backs of both the ewes and the lambs means they were born in the first two weeks of lambing. The stripe color changes on Saturday. 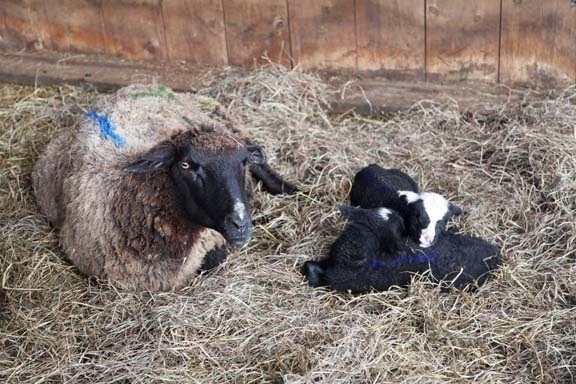 This will give The Farmer a good indication of how the lambs are growing. 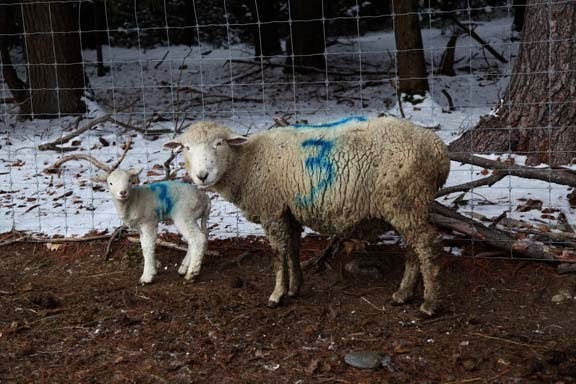 -The number on the side of both mother and lamb is the order the lambs were birthed in. The mother gets a number and the baby or babies get the same number. -If the number is blue, the lamb was a single. -If the number is green, the lamb was a twin. There's your sheep farming lesson of the day! What about the black lambs? And what color are triplets? awwwwww They are soooooo cute! WOW - so cute. You are going to be so busy! well...THAT's one way of picking POWERBALL NUMBERS, huh? 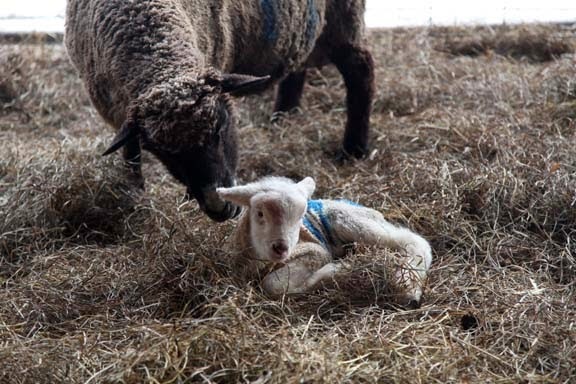 I so look forward to seeing the lambing pictures this time of year! thanks for continuing our education. Does the paint come off? I assume so or it would mess up the clip. Just curious.